Piece of Beef is the most expressive and abstract of the ten paintings of a side of beef that Soutine made between 1920 and 1929. He worked directly from carcasses he bought himself. 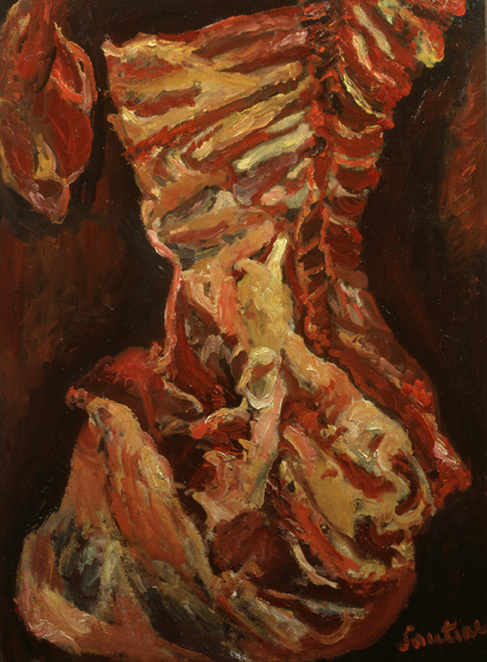 These works were directly inspired by Rembrandt’s great painting Side of Beef, which Soutine had studied in the Louvre.